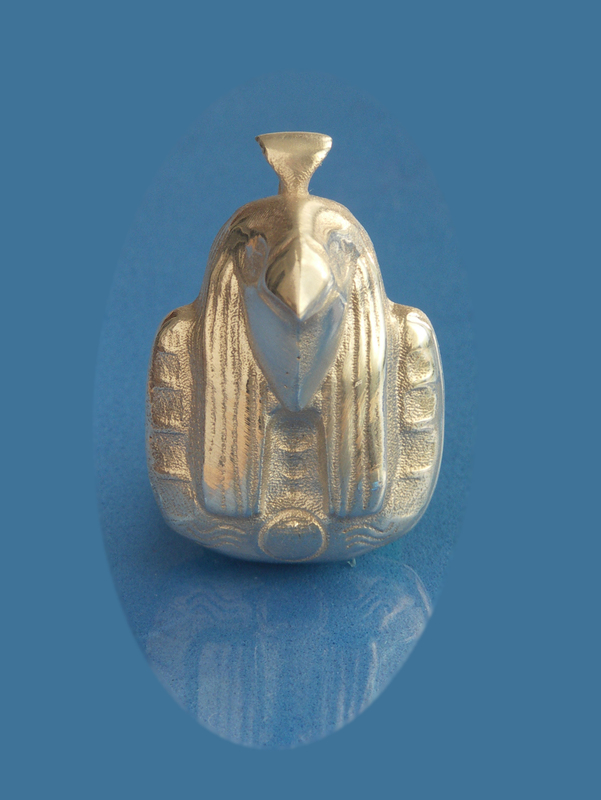 A chunky, solid sterling silver pendant based on an image of the Egyptian god Ra, a man with the head of a falcon. 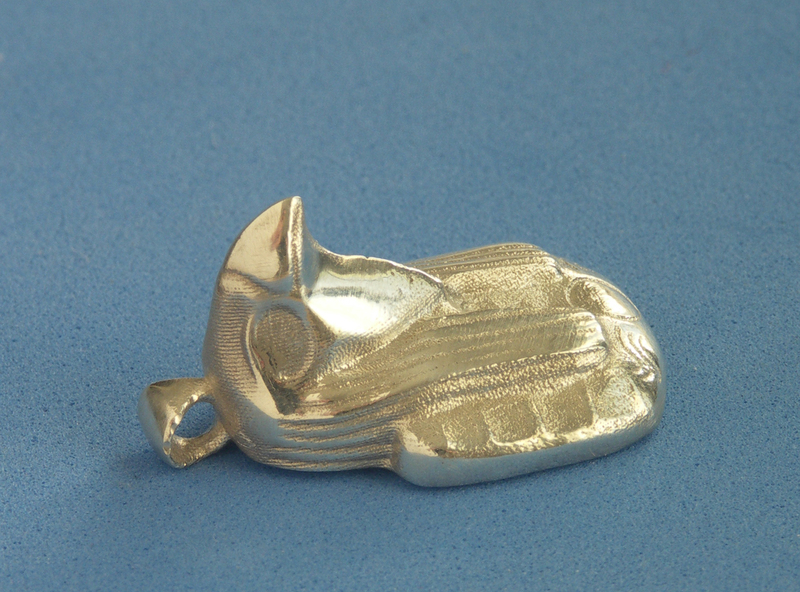 More images and info from my shop on Shapeways. how big is the ra pendant, i’ve been to the other site that showed this size and another size. Will the loop the pendant has at the top is that big enough for a say 2-3mm figaro necklace or what have you? Hi Celeb, I will send you a reply via email.